i would go for palladium gray . Teck, your car looks outstanding! Exactly what color is that? Took truck delivery of my '09 C350 yesterday. 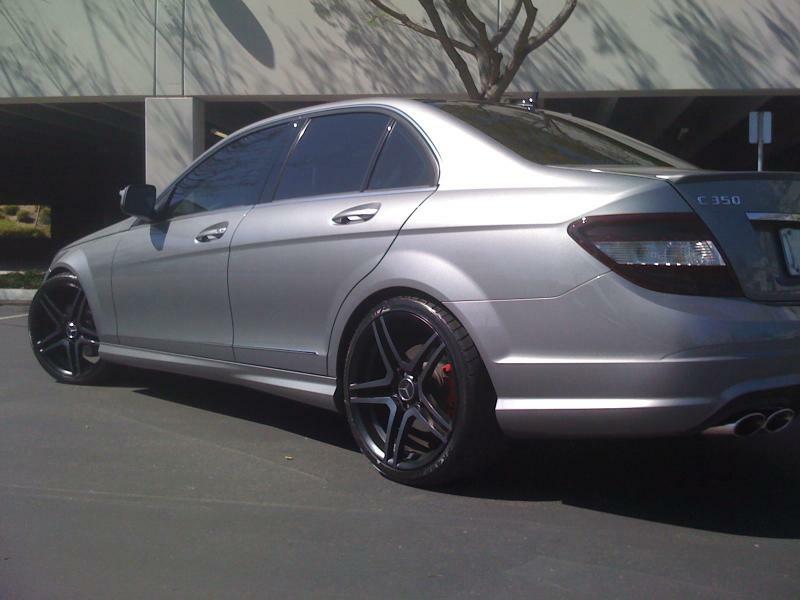 Obsidian Black on Black, P2, Multimedia Pkg, !8" AMG Wheels, Tele Aid, Pano Roof and iPod Adapter. damn... so they deliver it right to your house like that huh. I purchase my cars from a dealer in Denver and I have always driven up there to pick it up. This time I elected to have them deliver it... only cost $375. Driver called me when he was about 30 minutes away, he stopped at a car wash and then pulled up outside the development. Took about 10 minutes. Thanks. The location is nice... an area in Las Vegas called Summerlin. The "strip" and all the excitement is about 7 miles away. Oyi! It's beautiful....more pics asap, NJ. I think we all know about you're photography capabilities. I love how I'm asking for pics when I have the exact same car sitting right below my feet in the garage. How do you like it so far? Very impressed so far. My memory of the C was from 2007 loaners and I was less than impressed. Totally different car... fit and finish is excellent and ride is firm but solid. Last edited by Nevada Jack; 04-20-2009 at 10:16 PM. how come you sold the SL, looks like nevada is a perfect place for a hardtop convertible. Nevada is perfect for a convertible. Whoa! He does it again. Nice choice. Thanks.. had them tinted yesterday. Thanks... when clean, Black in this bright sun of Las Vegas is stunning. What's the light transmission on the tint (or tint %)? My black w204 is on order and I'm looking to get it tinted when it's delivered - and your setup looks perfect!